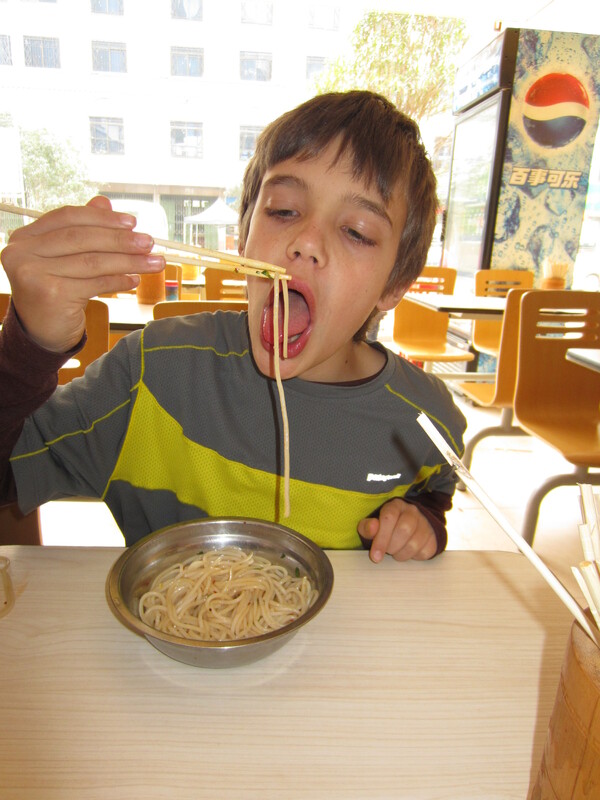 Noodles have played a prominent role in our diet so far. Among other things, they can be difficult to manage with chopsticks. Our first (and second) breakfast at Moganshan centered on noodles. 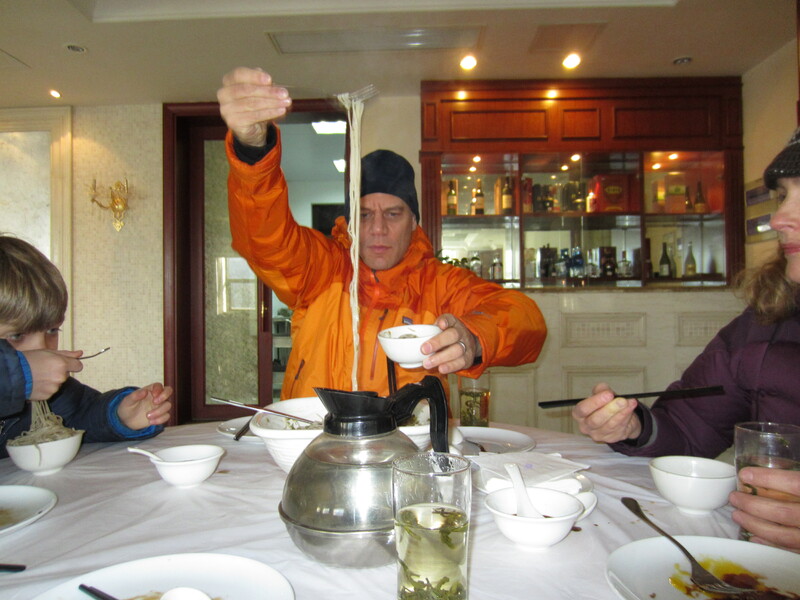 The chopstick skills were improving by the time we hit the town of Xingping where we enjoyed Guilin mifen (Guilin rice noodles) and Pepsi. And Pho Tai Nam on the streets of Hanoi was a breeze by the end of week two. The Fanta helped disperse the overdose of hot sauce. 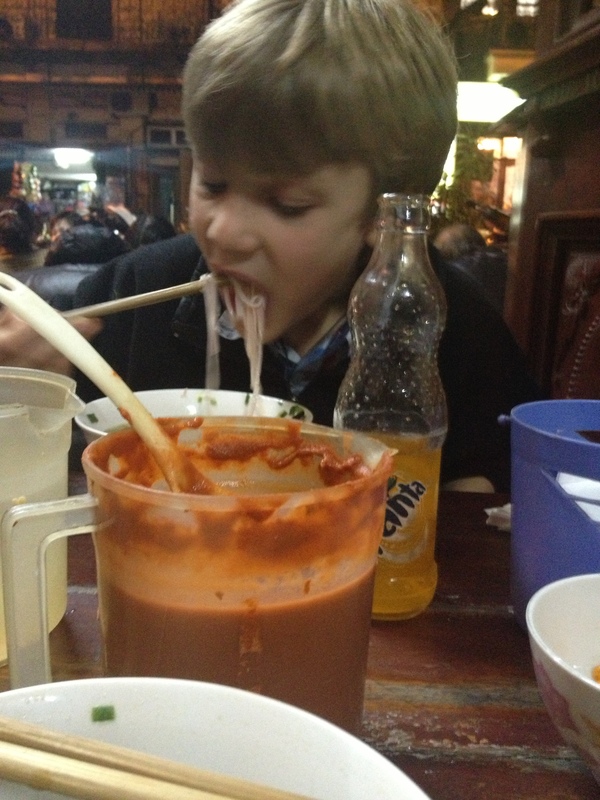 Yum, noodles in Vietnam! Sounds like your having a great time.